ZANU PF supporters in Murewa South have written to President Emmerson Mnangagwa informing him that they will not vote for the party’s preferred parliamentary candidate, Joel Biggie Matiza whom they accused of fraudulently winning the primary elections held in May. In the letter which was copied to other top party officials including Vice-Presidents Constantino Chiwenga and Kembo Mohadi, national commissar Engelbert Rugeje and chairperson Oppah Muchinguri, the activists said they would instead vote for Noah Mangondo, an independent candidate. 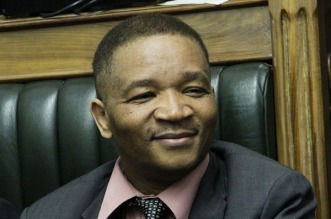 Mangondo lost to Matiza in the disputed internal polls that was marred by irregularities, including the use of “corrupted police officers” as presiding officers. Matiza is also the Mashonaland East Zanu PF provincial chairperson. “Voting for the primary elections took place under very unfavourable conditions imposed by corrupted presiding police officers. This led to disturbances at most polling stations resulting in people failing to vote or ballot papers being torn or burnt,” the party members said. Mangondo confirmed that he had Zanu PF supporters who were backing him as their candidate. “Zanu PF raised me, but when I was blocked from contesting in the primary elections, I had no choice, but to heed the people’s calls for me to stand as an independent. It was the most painful decision to make as I am Zanu PF to the bone. Together with those in Zanu PF who are rallying behind me, we will vote for President Mnangagwa on July 30,” he said.